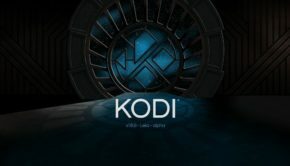 With statistics showing an increase in the number of cord cutters, we see a greater growth in Kodi’s popularity. The number of people getting rid of their cable connection is directly proportional to continuous growth in Kodi’s (formerly known as XBMC) popularity. 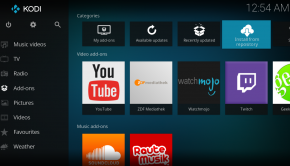 However there are many pros and cons of using Kodi as a substitute and even generally. Articulated we have a pros/cons and dos/don’ts of Kodi. Cost wise Kodi is an excellent platform agreeable by everyone as it is free to download and use. Majority of the addons, including ones that allow you to watch live TV (IPTV), are free. Does an app get better than that? This is again definitely a plus point for Kodi as it works smoothly on a lot of platforms including (but not limited to) Android, iOS, Windows, Mac, Android TV Boxes, Amazon Fire devices. The download and installation process for all is pretty simple. However it is advised not to get devices like Amazon Fire Stick that already come with Kodi installed by default. This is because when Kodi is purchased in this form, it tends to be lousy and altered. It is better not to opt for a device that already has Kodi installed by a random developer. You can install official Kodi on your device yourself through the kodi.tv. There are over 1000 Kodi addons that are full of categories and genres of content. You can install different addons to access content of your interest from sports, entertainment and news to movies, TV series, kids sections and more. Kodi has you covered in all content avenues. Some content is geo-restricted but that’s no big deal and can be dealt with a VPN connection. Positive feedbacks from the users is a sign that Kodi is extremely user-friendly. Slick platform and intuitive user interface are two of the many amazing features of Kodi. However, sometimes finding the content can be hard, tricky and downright frustrating. It is especially the case with installation of unofficial Kodi addons. 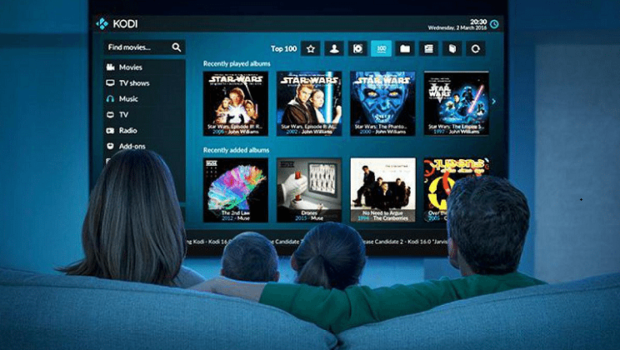 One of the major pros is that Kodi allows you to watch just about anything you want – from live TV to recorded shows. Streaming may be poor at times with third-party addons. But that again can be dealt with a VPN connection. A VPN connection allows you to overcome ISP throttling and gives the user good riddance from buffering and stalled connections. This is the biggest con of using Kodi. Security issues are a genuine concern for Kodi users as it makes them vulnerable to hackers and snoopers whose intent is to monitor and steal your personal data/information. 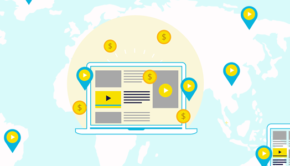 These also include copyright agents and government who are on the constant lookout to catch any violators streaming/downloading copyrighted content illegally. Thus, it is imperative that you are connected to a VPN when using Kodi so your activities are anonymous, your connection is secure and your data is private. When connected to a VPN you cannot be hacked or tracked which makes all your privacy and security worries go away. Addons let you access Dropbox, YouTube, movie libraries, live TV (often illegally) and other free content. Given that it is all free (some of which may be illegal in your country), it is not surprising that few addons have suspect provenance. You can protect yourselves from such viruses with a VPN connection that not only encrypts all your data but also has malware protection. One problem with Kodi is that it doesn’t have any support where you can report any issue that you face. As it is a free open-source software, you are on your own when it comes to troubleshooting any problem. There is a Kodi community forum that you can join though, but that again is a hit and miss situation as it is a user support forum. While there are many pros and cons, there are Kodi-based security problems that one must be aware of so that they can be tackled with before things get out of hands. A simple solution to all this is use of a VPN with Kodi. A Kodi VPN avoids ISP tracking, speed throttling and keeps all your activities anonymous. Make sure you are connected to a VPN so you are completely protected online. Rafid Athar is a marketing professional-turned-tech writer who hasa successful career at FastestVPN that made a drastic change when his interest in technology and international cyber laws became evident. Rafid’s love for new technology is profound and well addressed. You can follow him on LinkedIn.